Nathaniel Laywine is a writer, researcher, consultant and public servant. He completed his PhD in Communication Studies at McGill University in 2017, where his research focused on practices of international volunteerism, global citizenship education programs, and structures of humanitarian communications. Nathaniel received funding from the Social Sciences & Humanities Research Council of Canada (SSHRC), Media@McGill and the Institute for the Study of International Development to complete this work. He also holds an MA in Cinema Studies from the University of Toronto and a BA in Cultural Studies from Ryerson University. 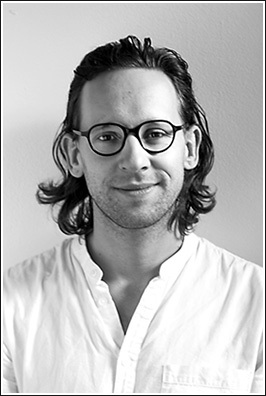 Nathaniel has previously lived and worked in Paris, Brussels and Lima. He currently resides in Montreal, where he works for the National Film Board of Canada as well as Experimental Feminist Ethical Collaboration Tools (EFECT), a feminist community research network funded by SSHRC. He is in the process of planning his next major research project focusing on white, male allies in feminist and anti-racist social movements, and the solidarity politics of social media usership.